Time to build it together. Your website is useless unless visible on Search Engines. We improve processes and synergies. Support for SME digitalization. Over 16 years of experience in high level LAMP development, we build custom applications and mobile Apps, database optimisation and technology maintenance all within our service catalog aimed at SME digitalisation. We are experts improving internal processes and efficience through client/server applications, apps and web development. Atractive web design with best in web development skills and high yield products: multiscreen websites, multilanguage and proactive SEO. Professional services in SEO consultancy supported on our world class long experience: corporate presence, ecommerce and visibility for SME in all sectors. Save time and money with impact through our comprehensive projects: Web + App + Content + SEO. The Executive Council of the catalan government gave a green light to the 5G Strategy of Catalonia, coinciding with the celebration of the 14th edition of the Mobile World Congress (MWC). Mobile World Congress 2019 has just begun. Twelve years after the birth of the mobile era, a period that means a lifetime in terms of digital innovation and new platforms. Speed for a mobile web is key. Using a SEO service provider allows your company to focus on what’s really its core activity and use work time on the most added-value for profit or goals. From the article by Julie Aranda (Google), talking about her research work teaming up with Safia Baig; see final credits and PDF of the original research work presented at Barcelona. These are the 16 Catalan companies that receive Phase 1 (up to € 50,000) of the SME Instrument of the European Innovative Council (EIC) for the May 2018 call. Working SEO from the first moment has saved money, time and effort. Worth it! A huge improvement in loading times: this was one of the firm's biggest concerns for the European market. Their SEO services are trustworthy, closely monitored, attention to detail, proven experience and ability to learn about the sector where you work. We have felt served during the 3 years of collaboration. Our new management and control application has only one drawback: that we did not ask for it before. Expert reliable providers. Their contribution to the SEO project that we carried out for 2 long years for WD was one of the pillars of our service line for this company, global leader in digital storage. The level of detail and the obvious processes improvement that the new app offers make it a strategic success for the company. Whether they are extensive and detailed works or very punctual and urgent actions, I trust fully in the delivery and its quality. They know what they do and they give us a lot of peace of mind, they do great with Spanish SEO localization. We have dramatically increased the traffic of our website with a direct impact on billing. 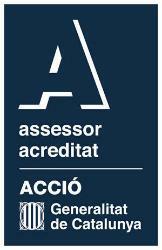 At ICN Legal we are more than satisfied and will continue working with eData. I had one of those great moments of doubt, but once hands on everything goes wonderfully. Recommendable. The move from our WordPress blog to Relevant CMS has marked an important performance milestone. This works even better than promised!